Golden brocades and voluptuous fabrics are a characteristic visual feature of Spanish American art. 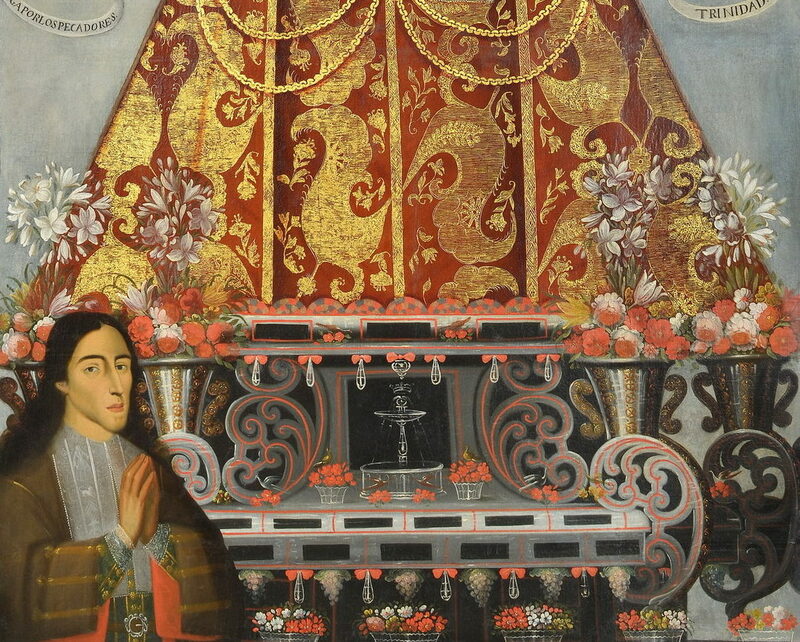 Painted Cloth: Fashion and Ritual in Colonial Latin America addresses the social roles of textiles and their visual representations in different media produced in Bolivia, Mexico, Peru, and Venezuela during the 1600s and 1700s. Beyond emphasizing how aesthetic traditions of European and Indigenous origin were woven together during this period, the exhibition showcases the production, use, and meaning of garments as well as the ways they were experienced both in civil and religious settings. Painted Cloth: Fashion and Ritual in Colonial Latin America is organized by the Blanton Museum of Art. Generous funding for the exhibition is provided by the Carl & Marilynn Thoma Art Foundation.